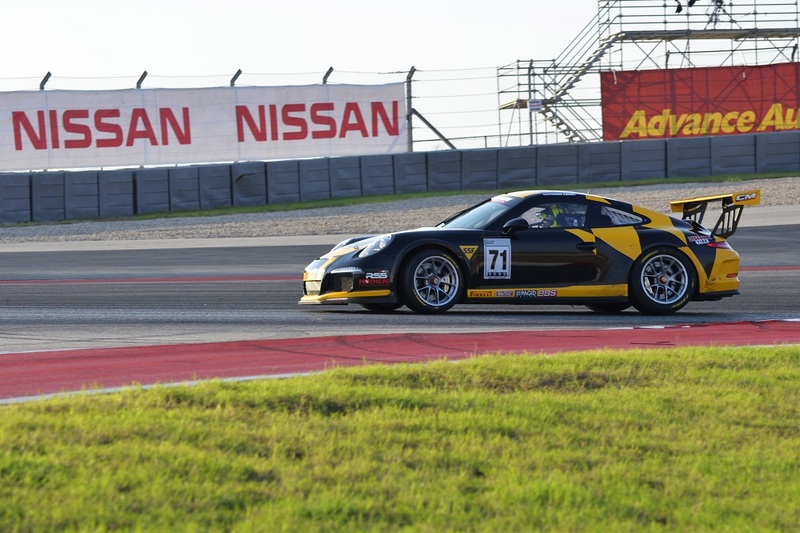 Austin, Texas (2 September 2017) – The Pirelli GT3 Cup Trophy USA staged Race 11 at Circuit of the Americas on Saturday and the race went clean from green to checkered as 24 cars took to the 3.4-mile F1 grade road course. 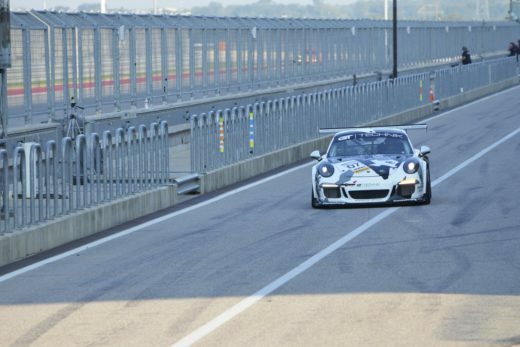 The scorching temperatures that are typical of the Texas summertime were in full effect, but the conditions didn’t affect the drivers as the robust field of Porsche machines put on quite a show. In the Diamond category, it was GT Technik’s Max Root (No. 07 Porsche) who dominated the day as he led flag-to-flag and took the victory with over a 13-second advantage. 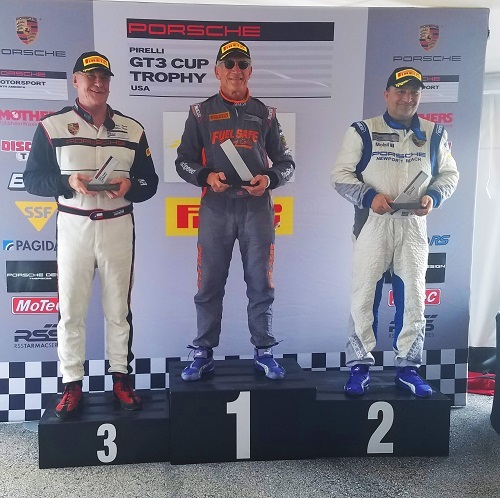 Rounding out the Diamond podium was Aasco Motorsports’ Alex Kirby in second and current Diamond championship leader Loren Beggs of 911 Designs who started on the pole. He and Alex Kirby swapped positions but it was ultimately Kirby who took the runner-up position in the No. 01 Porsche 911 GT3 Cup machine. The result was all the more impressive for young Root, as Saturday marked his first-ever race start at the iconic Texas venue. Preston Calvert, who campaigned the No. 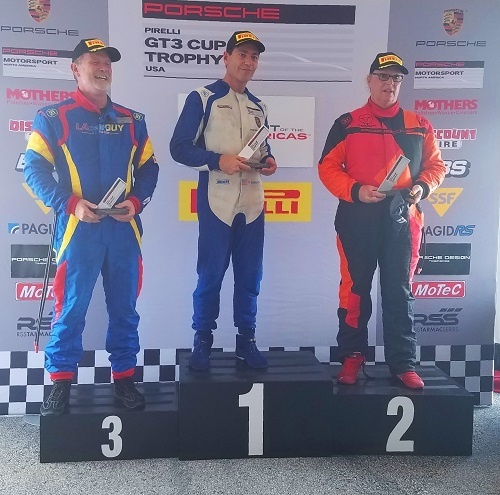 77 Porsche for Competition Motorsports, came out on top in the Diamond Masters race with a 3.8-second winning margin over 911 Design’s Dave Elsner. Calvert didn’t have much time to celebrate as he immediately hopped into his Pirelli World Challenge Porsche following the checkered flag. 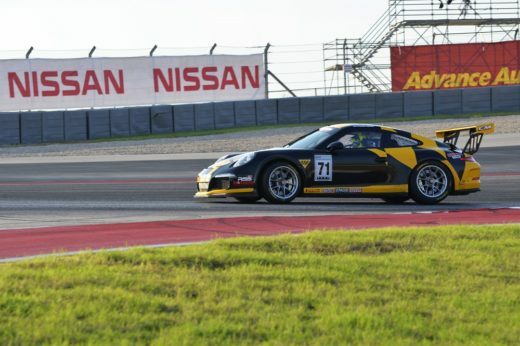 He is competing in five races during the COTA event with three PWC events in addition to his two Pirelli GT3 Cup Trophy USA events. “I had a pretty good start and moved from fourth to second,” said Calvert. “I managed to hold P4 overall for a while and then Loren (Beggs) spun which put me in third overall. I had pressure from behind from the other Diamond Masters guys but I kept a consistent pace and to keep a little bit of a gap. Coming up on lapped traffic always makes you a little bit nervous because it’s a great opportunity to screw up. I was very aware as I came up on the traffic and tried to get by them as smoothly as I could. TruSpeed Autosport teammates Larry Schnur (No. 32 FuelSafe Porsche) and Ray Shahi (No. 65 Sterling Collision Porsche) swapped positions through the race. John Krieg led most of the event in the No. 88 Aasco Motorsports Porsche but a late race spin saw Schnur and Shahi move up to take first and second place, respectively. For the eighth time this year, Jeff Kearl (No. 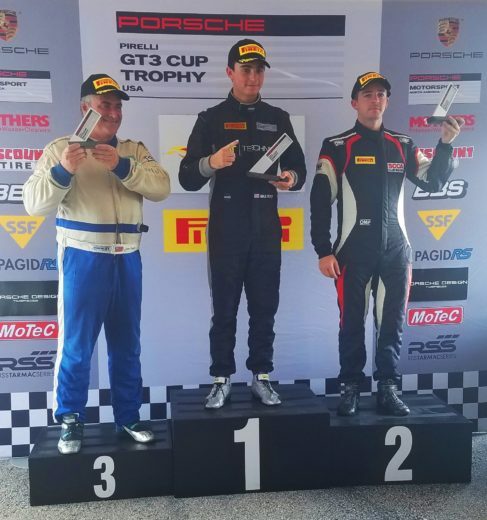 26 Rearden Racing Porsche) took top honors in the Silver Category with a 6.1-second victory over Sean McAlister (No. 00 Competition Motorsports Porsche). 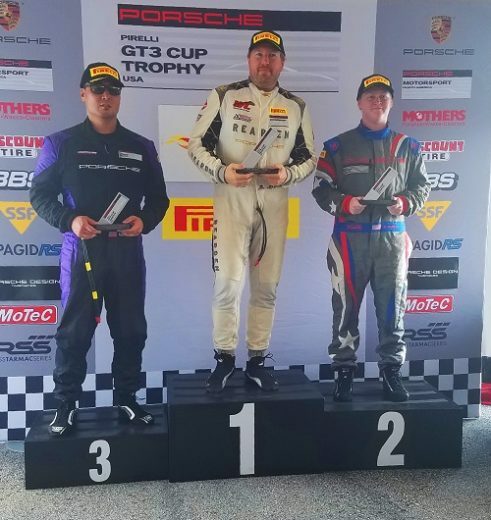 Completing the podium was Competition Motorsports driver Michael Kim in the No. 21 Porsche machine. Kearl credited his previous experience at the track for his victory. While several of the categories saw cars a bit more spread out, all eyes were on the Silver Masters class as series-newcomer Laura Ely (No. 09 Competition Motorsports) put the pressure on Championship Leader and teammate Steve Goldman (No. 1 Competition Motorsports) for the win all race long. Ultimately Goldman took the victory by just three tenths over Ely. It was an all Competition Motorsports podium with Carl Tofflemire third in the No. 62 Porsche. 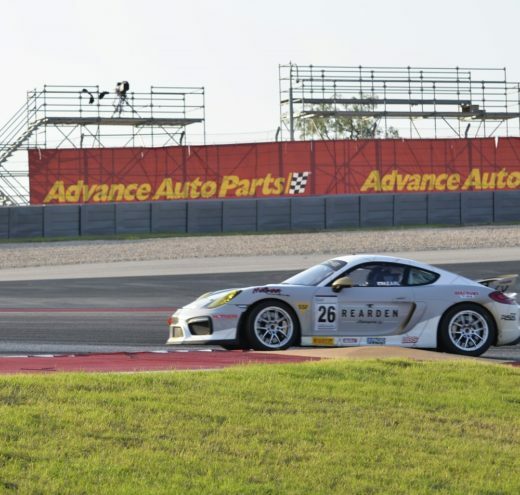 The race was only the first Pirelli GT3 Cup Trophy USA event for Ely who previously competed in PCA and PCO competition. Competent Motorsport President Greg Franz was thrilled with the race action on Saturday and looking forward to much of the same on Sunday. Race 12 will feature a 24-car line up and will go green at 1:45 PM Central Time. Live timing can be viewed at www.tsl-timing.com.